Subsea engineering company SMD has passed a significant milestone as the MV Happy Delta, loaded with the world’s first deep sea mining vehicles, has left the Port of Tyne in the UK. As well as the three mining machines or seafloor production tools (SPTs), SMD designed and manufactured the full spread equipment required to remotely operate, launch and recover the SPTs from the deck of the ship onto which they will be installed in 2017. The SPTs and associated equipment, totalling over 1,000 tonnes, have been loaded onto the vessel which has set sail for Duqm Port in Oman where they will undergo further testing. 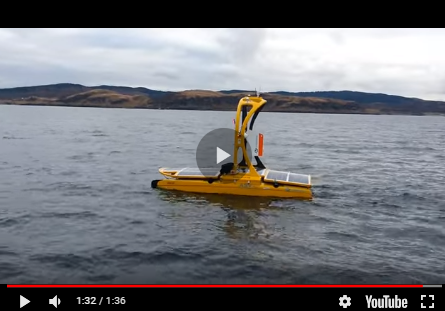 In late 2007 SMD was awarded a contract to design and build the world’s first deep sea mining vehicles for Canadian listed company Nautilus Minerals. Eight years on, having worked in close partnership with the customer, this massive feat of engineering is complete. SMD conducted rigorous commissioning and factory acceptance testing on the full spread of equipment in dry conditions on land at its production facility in Wallsend, North East England, prior to shipping. The SPTs are to undergo extensive wet testing at the port facility in Oman which is designed to provide a submerged demonstration of the fully assembled SPTs, prior to commencement of the first mining operations in 2018.